“We’ve always found that there’s something about modern living that makes it hard to be healthy. The idea was to make it easy for people to do themselves some good, and to make it taste nice too. We wanted people to think of Unch as their one healthy habit… like going to the gym, but without all the effort and ridiculous membership charges.” The key messages are – locally sourced healthy ingredients clearly labeled for the customer. 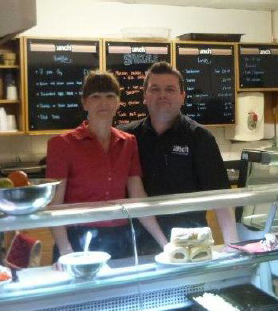 Noel & Jo Gillespie are the founders of Unch “A little shop with BIG ideas on food”. Both Noel and Jo have vast experience in the catering and hospitality sectors, gaining this in both the United States and Europe. They have passion for Healthy Food and lifestyle and having enquired a traditional take way in Portadown, Northern Ireland in 2007 they set about transforming the business into what it is today. With 3 outlets and a conferencing and event catering division, Unch has pioneered a Healthy Lifestyle for the local region. They have ambitions to further expand and are currently evolving a strategy for 2015 which includes recruitment of key staff. This will release Noel from his current duties allowing him to examine new lines and opportunities for the future. “…and if that isn’t enough! They have developed a new labelling system on food which tells you the levels of sugars, fat, saturated fat and salt. Red means high. Amber means medium. Green means low. 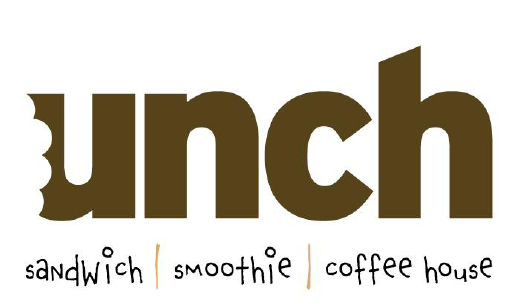 “Take it from us, as much as we can make it – we’re green!” unch have a passion to improve the health of young people in regard to food consumption, they have targeted local schools and colleges and now deliver healthy lunches directly to the students.